Grave Reference: Joint grave 448. Grave Reference: Sec. Y. Grave 463. 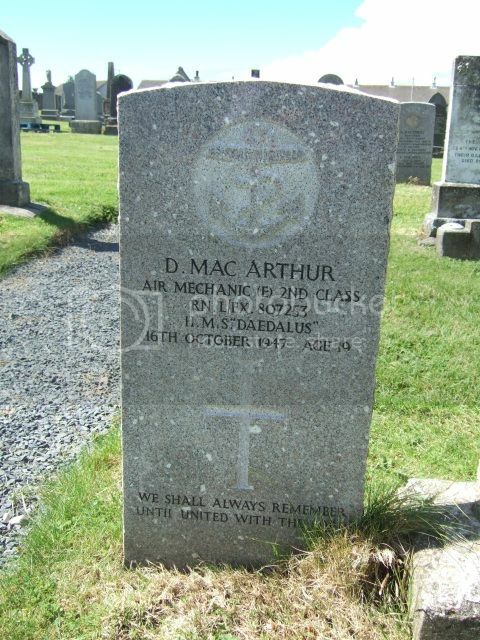 Additional Information: Son of Donald and Catherine MacArthur, of Bowmore. Additional Information: Son of Reginald James McGregor and Maise Alice McGregor; husband of Elizabeth Sayer McGregor, of Cotham, Bristol. 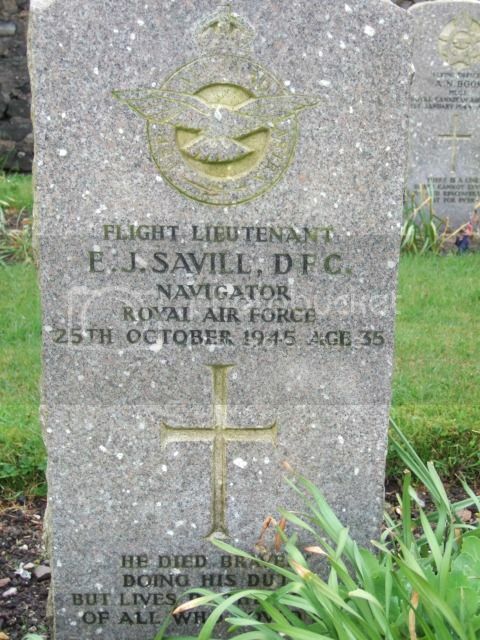 This is not a recent photograph so hopefully the error in the name inscribed has since been corrected. Grave Reference: Joint grave 485. 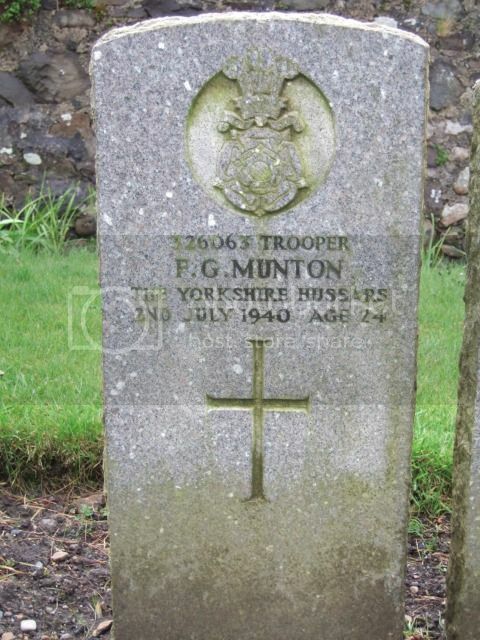 Additional Information: Son of John William and Mary McKie, of South Shields, Co. Durham. 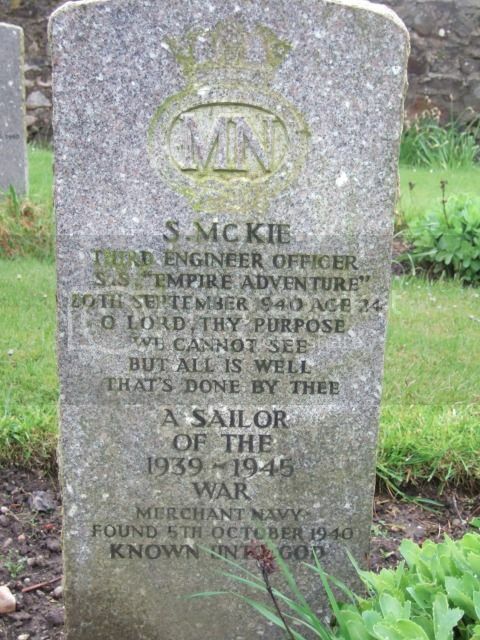 McKie shares his grave with an unknown Merchant Navy sailor who was found 5th October 1940. 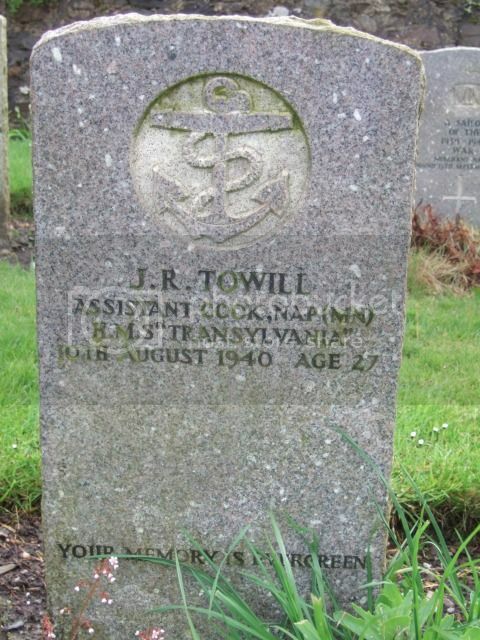 Additional Information: Son of Mrs. Christina McVorran, of Flora St., Bowmore, Islay. Additional Information: Son of Ernest Alfred and Ruby Myrtle Palmer, of Benalla, Victoria, Australia. Additional Information: Son of John William and Maud Savill, of South Norwood, Surrey; husband of Jean Patience Savill. A.M.I.B. Regiment/Service: Naval Auxiliary Personnel (Merchant Navy), H.M.S. Transylvania. Grave Reference: Joint grave 483. Additional Information:Son of John and Jessie Cunningham Towill, of Glasgow. Grave Reference: Joint grave 520. 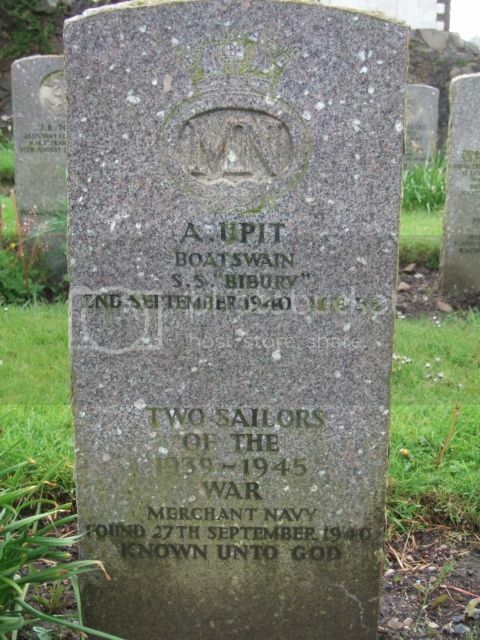 Bosun Upit shares his grave with two unknown Merchant Navy seamen, who were found 27th September 1940. Grave Reference: I. F. 2. 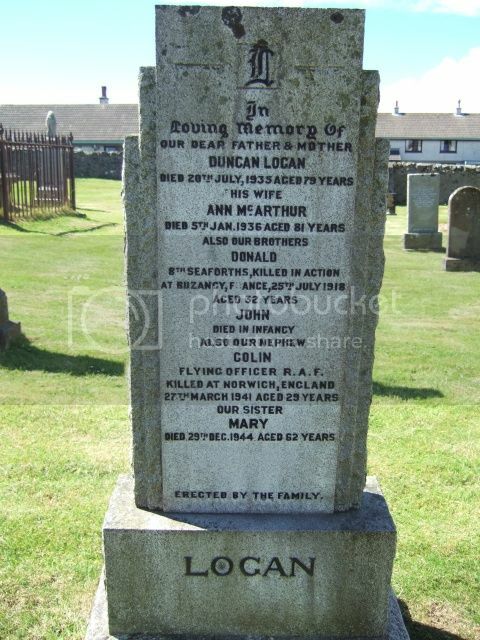 Additional Information: Son of Duncan and Ann Logan of, Bowmore, Islay; husband of Ann McDuffie Logan, of Bowmore, Islay. 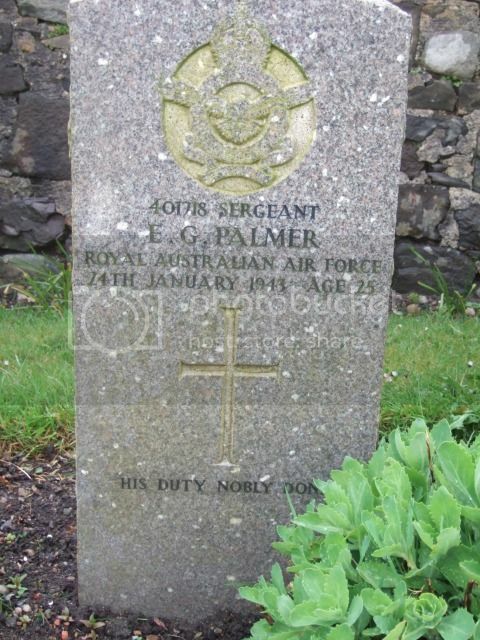 Note the incorrect date on the headstone. Grave Reference: 25. A. 19. Additional Information: Son of James and Mary Logan; husband of Winifred Florence Logan, of Bedhampton, Hampshire. It used to be possible to look up individuals like J Nakos on the CWGC register, but this is no longer possible. The only information I have is that J Nakos was in the Greek Merchant Navy and his date of death is 12th September 1940. His grave location is Joint Grave 556. It used to be possible to look up individuals like J McGowan on the CWGC register, but this is no longer possible. 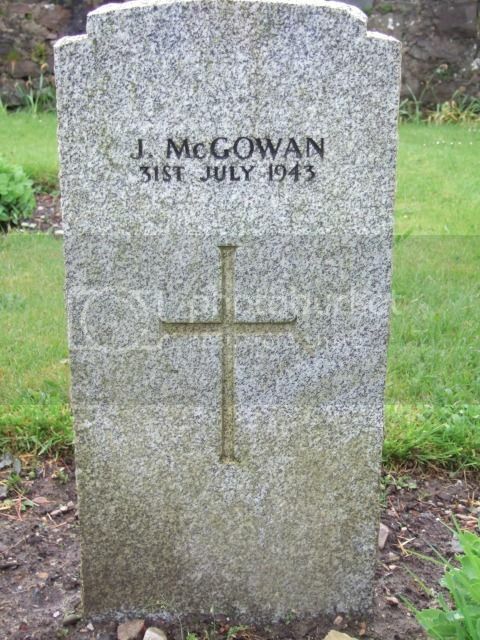 The only information I have is that J McGowan was listed by the CWGC as a Civilian (although he is not on the roll of Civilian War Dead) and his date of death is 31st July 1943. His grave location is War Graves Plot, Grave 487. C Galanapalos, Greek Merchant Navy. 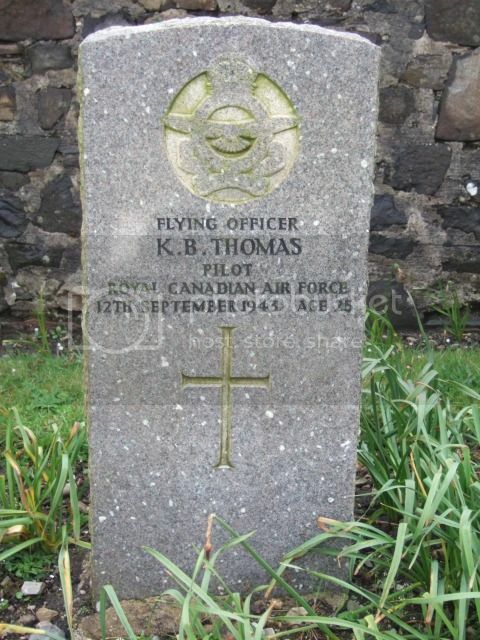 Died 27/09/1940. Buried in War Grave Plot, grave 560. A Gazzi, Italian Civilian. Died 06/09/1940. Buried in Joint Grave 448. T Reynolds. Listed as a "Service Dependant". 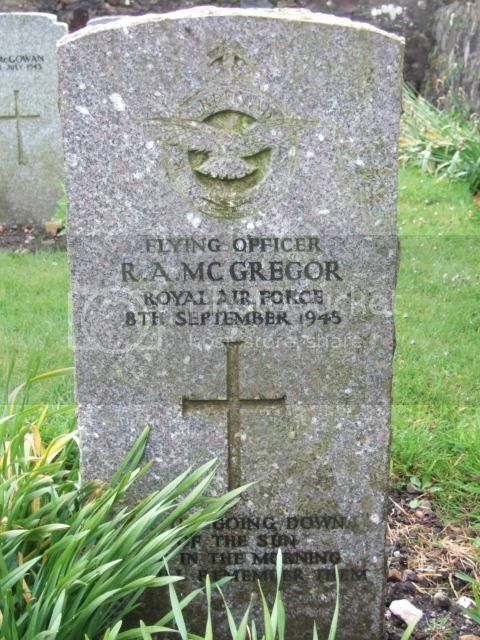 Died 16/11/1943. Buried in Joint Grave 452. If I remember rightly it was possible to see these for a brief period during a " glitch " in the system when a site update, later abandoned, was made to the CWGC site. 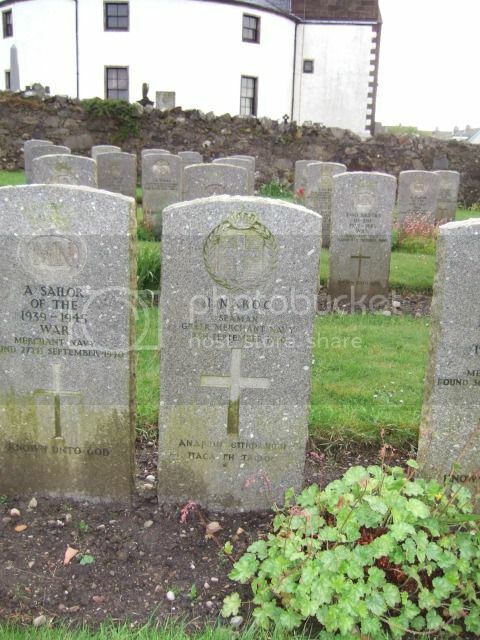 This info is for CWGC internal use, the details are contained on the same database. Only details of the casualties of Commonwealth forces from both wars and Commonwealth Civilians who died due to " enemy action " during WW2 are on the on-line register available for public inspection.